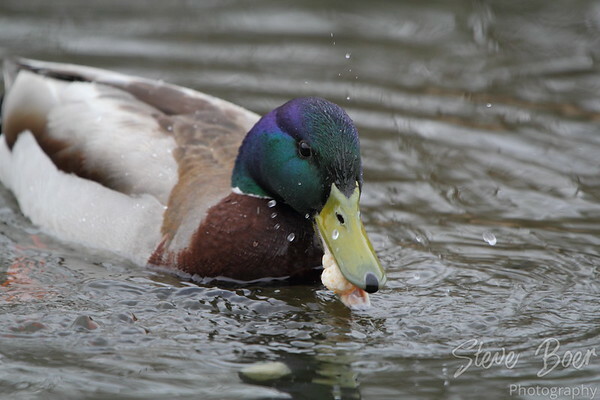 Here’s a mallard enjoying a piece of bread my wife was feeding to them. Oh my it’s been a long time since I’ve taken any new pictures. Well that’s technically not true, I’ve been working on a long time-lapse project, but it’s not ready to be shared yet. But we finally got out to one of the nearby ponds the other day to feed the ducks. No babies yet, I guess it’s still a little too early in this neck of the woods. Yes, they’re nice ducks and relatively not too shy. Thanks for the comment!